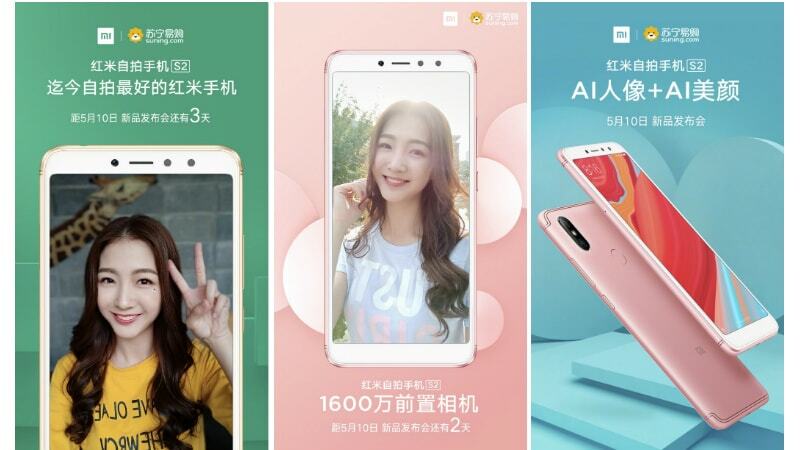 Redmi S2, the next Redmi series smartphone by Xiaomi that is debuting in China on May 10, is now claimed to be the best selfie phone in the Redmi series. The latest claim has been made through an official teaser that also flaunts the front of the upcoming smartphone. Other teasers deal with other aspects of the front camera. Additionally, the listing of a global Redmi S2 version has been spotted on Aliexpress that hints its availability outside China, including India and other worldwide markets. The smartphone’s back was previously shown in a teaser, revealing the vertical dual rear camera setup while another teaser showed iPhone-like antenna lines and revealed the presence of a 12-megapixel camera in the dual rear camera setup. Xiaomi is apparently projecting the Redmi S2 as its selfie smartphone to counter similar offerings by domestic competitors such as Huawei, Oppo, and Vivo.